Facilities:Business Centre, Covered carpark , Gymnasium, Mini Market, Salon, Swimming Pool, 24hr Security, Badminton court, table tennis and pool. Solaris Dutamas (also known as Solaris @ Dutamas) is the successor to Solaris Mont Kiara by Sunrise. 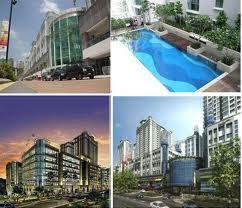 It is located in the vicinity of the Matrade building, Wilayah Mosque and the Government office complex at Jalan Duta. It was launched in April 2005 and the entire development will be completed by the end of 2009. October 3, 2011 in All Residential, Condo / Serviced Residence.